Catholic missionary service is deeply rooted in the history of South Texas. The parishes, communities, the educational efforts that we all enjoy today, can be traced back to the first missionaries who brought the Gospel to this rugged frontier. Missionary work is a cornerstone of Catholic faith which is reflected upon and passed on through the generations to be celebrated by those who serve along with those who receive. At the high school level, we characterize ourselves as a developing faith community. Essential to growth in committed faith is the need to foster ways of putting our faith into action, to implement ways of living as committed disciples. That is the purpose of IWA's Mission Team activities. 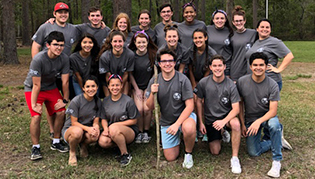 Students immerse themselves in a challenging program of faith and leadership development grounded in Catholic ideas and practices. 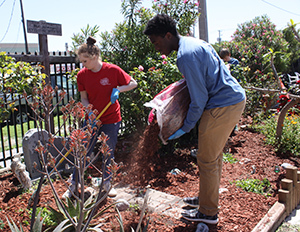 They promote the core values of Incarnate Word Academy by growing in holiness and virtue and generously challenging others to do the same. They reach out to serve the needs of the local community as well as other communities in need. They are supported in their work by like-minded peers and mentors. They strive to become solid and dependable pillars of the community. 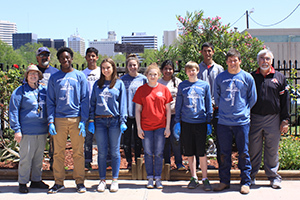 This group of dedicated students that make up the Mission Team commit their time and efforts to serving others. The group gathers regularly throughout the year and plans mission activities, informs student, faculty and staff of the mission efforts. In the early years of the IWA Mission Program, the team traveled to Mexico, part of the experience was immersing into the lives of the people in the towns where they traveled. Students work and worship together with the people in the parishes and communities in which they serve. They participate in "visiteo" which includes visiting house to house, inviting residents to attend prayer services. 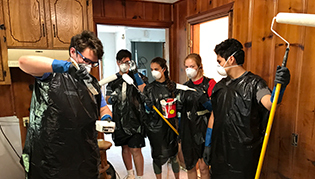 Student missionaries share that it is not the physical work that they accomplish the has the most profound effect on them, but rather the notable effect their visit has on the people in the communities. 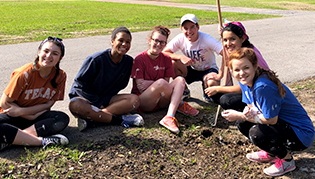 Campus Ministry at IWA seeks to give students the opportunity to develop their faith, their desire to serve, their spiritual hunger, their vitality, and their optimism and idealism. 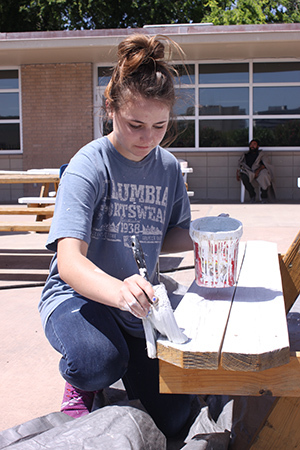 Through their faith, talents, skills, and service, the students make present the Body of Christ. More than anything, please keep the program, the students, adult sponsors, and the people of the communities in which the Mission Team serve, in your prayers. May the works of our Incarnate Word Academy students continue to take the Gospel of Jesus, the Incarnate Word, to the ends of the earth! Praised Be The Incarnate Word; Now and Forevermore! Amen!